The carpet cleaning industry is unregulated, which means anyone can call themselves a professional carpet cleaner. The truth is it takes more than just a fancy business card and a carpet cleaning machine to become an expert cleaner. Unfortunately throughout Australia there are a number of inexperienced and untrained technicians, and businesses using deceptive / unethical businesses practices (which can be difficult to spot). The aim of this short guide (and the vetting / verification process we provide through our website) is to help you find the best local companies and avoid the dodgy operators. Don’t be a victim of misleading advertising, ‘clever’ sales tactics and dodgy technicians who could damage your carpets, as well as your wallet. Whilst some companies legitimately use special offers and promotions to encourage a customer to give them a try, there are a number of unethical companies using what is called ‘bait and switch’ pricing and misleading advertising to ‘dupe’ you in to using their services. Their tactics are very clever and designed to hook you in. These companies will usually advertise a temptingly low price, for example $5.95 or $14.95 per room. However when they arrive at your home they’ll use every trick (including high-pressure selling) in the book to ‘up sell’ and ‘upgrade’ your package. Even if you take the upgrades, which can cost hundreds of dollars, the best you’ll get is an entry-level clean usually done by an inexperienced and unqualified technician who is a much better salesman than they are a carpet cleaner. If you don’t take the up-sell you’ll get a quick, low quality job (often using a little or no cleaning chemicals) which won’t remove any deep down dirt, dust, mould or contaminants. Always ask for a fixed quote and confirm that the price you are quoted is the final price you will pay. Do you hold a recognised training qualification / certification? Is the quoted price going be the same price I pay when you finish cleaning my carpets? 1. Are You a Member a Professional Association? 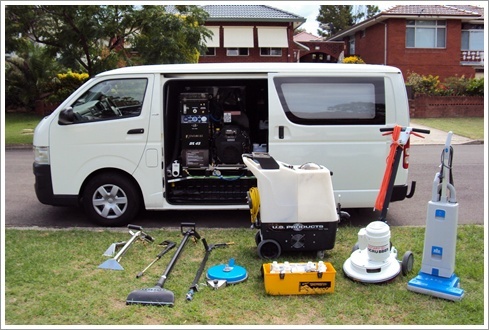 There are a number of Carpet Cleaning Associations in Australia. You can find the links to the main ones in the “useful links” box on this page. Any company who is an (active) member of an association will be required to adhere to a code of conduct and meet certain standards. Businesses who join an Association will generally be more professional, committed to professional development and be aware of the latest products / developments in the industry. 2. Do you have a recognised training certification / qualification? 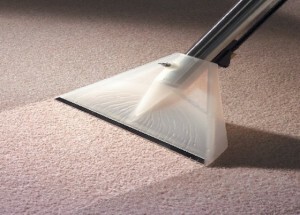 Although there is no standard qualification required to operate as a carpet cleaner, most people in the industry agree that the certification programs overseen by the The Institute of Inspection, Cleaning and Restoration provide a thorough introduction to the techniques and skills needed to clean different types of carpets. 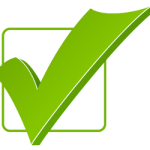 Some companies may advertise they are ‘IIRC certified’, however it is also important to check that the actual technician coming to your house or business has been individually certified as well. Any company you invite in to your home / business must be fully insured (usually for $5 million or more). Ask to see a copy of their public liability insurance. 4. How Many Years’ Experience Do You Have? Look for a carpet cleaner who has at least 3 years experience. A more experienced operator will have a better understanding of the techniques / machinery to use to on your particular type of carpet. 5. Do you provide a guarantee? A professional company will stand by their work and will be happy to come back and re-clean your carpets if you are not satisfied with the result. 6. What is included in your services? Are you getting a full-deep clean or just a quick once over. A professional clean usually involves a multi-stage process with various chemicals and different machines to get rid of stains, dirt and grime. 7. Is the price you quoted the final price? Some companies use what is known as ‘bait and switch’ pricing to hook you in. They offer an incredibly cheap price (sometimes as low as $5 per room) and then add-on the extras when they get there. Often the price you end up paying is higher than it would have been with a more qualified/experienced operator, and the result is no way near as good. Some companies will claim one method is better than the other, however the reality is that the best method to use depends on your carpets, the amount of staining and your situation. In most circumstances the hot water extraction method will provide the best results. 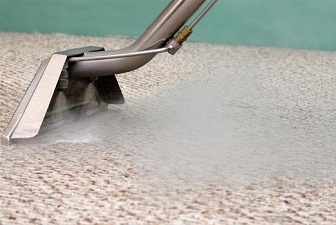 When an experienced, qualified technician uses a high powered (usually truck mounted) steam cleaning machine they will be able to give your carpets a deep clean using a relatively small amount of water and get your carpets dry again within a few hours. However there are some situations where it may not be possible to use a hot water extraction machine. For example a high traffic area in a busy shopping centre, where it is not possible to keep people off the carpet for a few hours. An expert carpet cleaner will carry both machines (as well as a variety of chemicals to suit different stains, carpets and situations) and be able to make a decision on the day as to the best method to use to get the result you are looking for. If you did a side-by-side test a professional carpet cleaner will always achieve a far superior result to a rented machine. A professional cleaner will use expensive, powerful machinery, specialist products and years of experience to get your carpets not just clean at a surface level, but remove unseen mites, contaminants, soil and other nasties from your carpet. Some companies dress their staff (or franchise owners) up in smart looking uniforms and send them out in fancy trucks, but looks alone don’t guarantee a great result. What counts is the experience and skills of the actual technician who comes to your home or business. Always look for certification by the IIRC and at least 3 years experience. The carpet institute of Australia recommends having your carpets cleaned every 12 – 18 months. Cleaning your carpet on a regular basis will actually extend the life of your carpet, and remove dirt that cannot be removed by vacuuming alone (the same is true with your upholstery, rugs and furniture). It’s also important to remember that the longer a stain is left, the harder it will be to remove – so it’s best to organise regular cleaning to ensure your carpets say looking like new! Whilst we recommend avoiding companies using dodgy low prices to hook you in, we realise everyone needs to consider their budget. The best way to save money is to move your furniture and make sure the house is not occupied when your cleaner arrives. 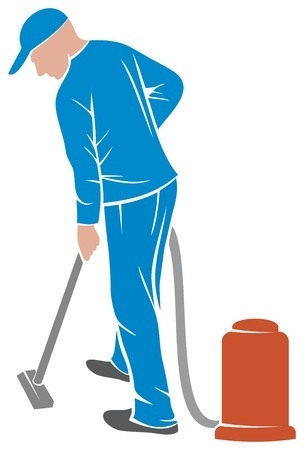 You can also vacuum your carpets, however the vacuum cleaner used by a professional will use a special hospital grade filter and will lift more dirt/dust than most household machines. No, however most can and if it’s not possible to completely remove a stain it may be possible to significantly reduce it. Factors like the type of stain, how long it’s been on your carpet and the type of carpet in your house are all important. A professional will be able to advise before they start cleaning if they think they’ll be able to remove it, or not. If you do spill something on your carpet it’s usually best to call an expert before trying to remove the stain yourself, as DIY methods can do more harm than good. If you feel like you have been ripped off or mistreated it is important to make a formal written complaint and report it to your local office of fair trading. By doing this you are helping to improve the reputation of the industry and ensure the dodgy operators are put out of business. Got a comment, question or feedback about our guide? We’d love to hear from you. Please leave us a comment below or contact us by phone or email.